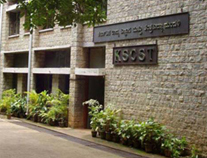 Karnataka State Council for Science and Technology (KSCST) was established in the year 1975. It is one of the first State S&T Councils to be set up in the country. KSCST is an autonomous S&T organization under Department of Science & Technology, Government of Karnataka. During the last 40 years, KSCST has been pro-actively engaging itself to identify, propose and implement S&T based solutions to locale specific needs / problems in the broad areas of Water, Education, Energy, Ecology and Environment, Waste management and Infrastructure. In co-operation with the Indian Institute of Science and several other premier R&D institutions, KSCST executes many projects and programmes aimed at improving socio-economic conditions of the people of the state. Over the years, a number of technologies have been translated, from research and demonstration phase, to the implementation and operational phase. KSCST provides support to the Central and State Governments, in formulation of S&T based policies, scientific surveys, project implementation, evaluation, co-ordination & monitoring, organization of scientific meets and awareness campaigns. The Department of Science and Technology, Government of India advocated KSCST as a model to all the states. Application of Science & Technology for the management of resources, improvement of environment, quality of life and socio-economic conditions of the people of Karnataka. Co-ordinate R & D activities for generation of knowledge for scientifically based interventions, development and popularization of appropriate technologies for adaptation by the civil society to overcome local-specific problems and, inspire and improve human resources of the S&T sectors in the state. with screen resolution 800 x 600 and above.